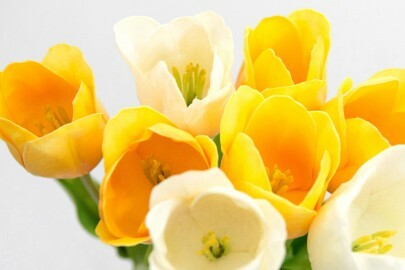 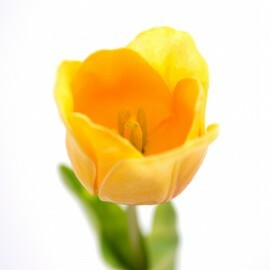 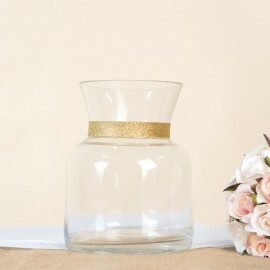 Simple but elegant... 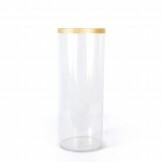 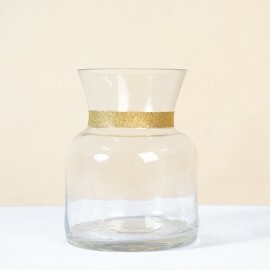 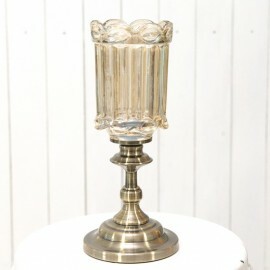 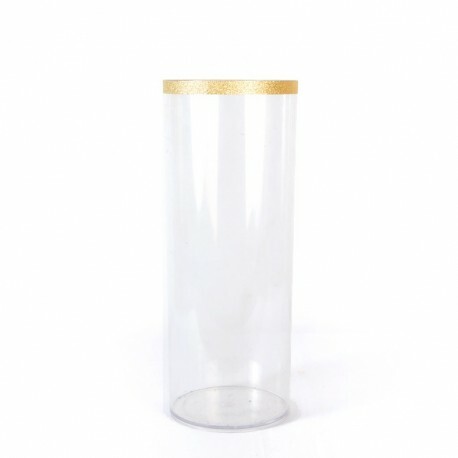 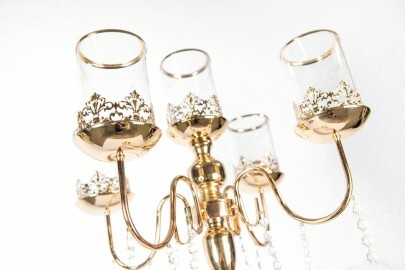 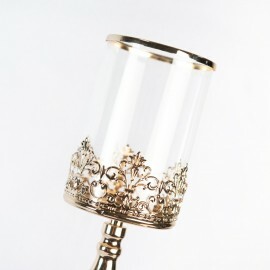 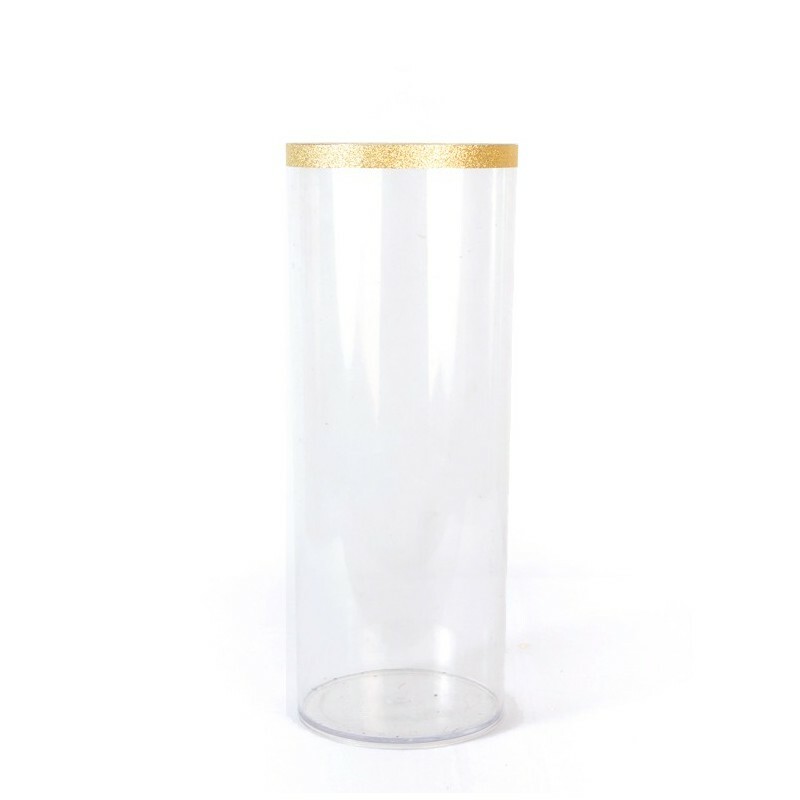 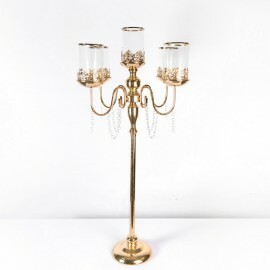 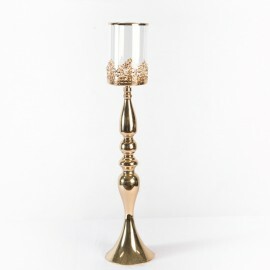 This tall clear acrylic cylinder vase features a gold glitter rim to it. 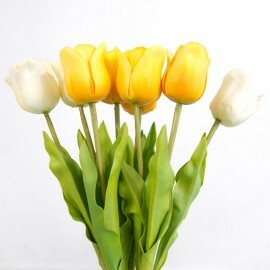 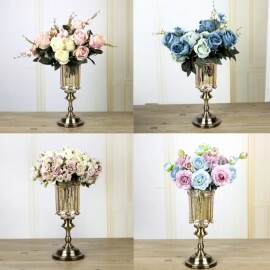 Great container for tall flowers / branches / botanical decors.